You have determined your company message, designed a logo, chosen colours, fonts, set up a company image and identified your target audience. The question is: how to combine all of these aspects and apply them to a successful branded marketing campaign. Printed marketing materials are the backbone of any branding effort, because it’s the best way to put your company right into your audiences’ hands. Professionally designed and printed marketing materials should be put to use in every industry. Business cards are the first, essential piece of marketing material you should invest in and be the first item you hand to a client. Encourage good clients to take a few to share with their friends. In past times, letterheads and envelopes, emblazoned with a company logo was an essential marketing aid. These days, most of our correspondence is via email however, there’s still need for using regular mail. Investing in high-quality envelopes with your business logo and blank letterheads in the same stock, will always make an impression. Even in this day of digital and mobile, brochures are still important marketing tools. Brochures or fliers are an important way to present your information quickly and remind your customers about your products and services. Use your logo strategically on promotional items and tools. Small branding on useful items, such as small notebooks and pens can have a big impact. Choose promotional products and giveaways that are functional, like phone chargers or thumb drives so they actually get used and do the marketing for you. 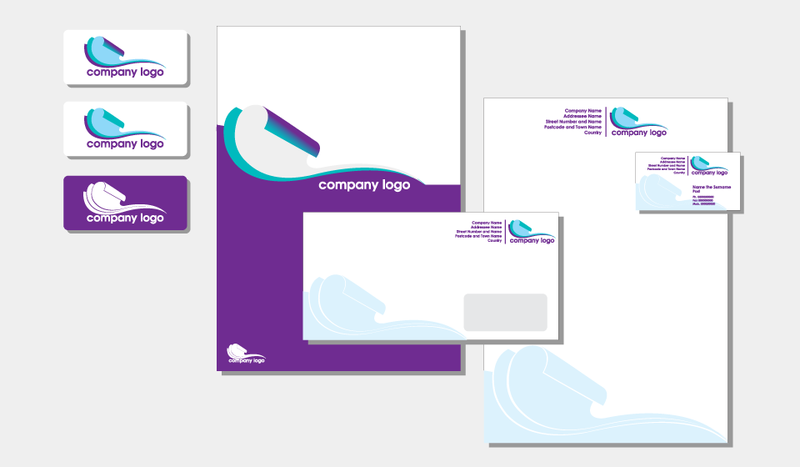 A corporate identity package includes business cards, letterhead, envelopes, brochures and presentation folders. The goal of the corporate identity package is that every single piece of correspondence you issue to customers carries your company’s image and reinforces your message.